​Liverpool sporting director Michael Edwards is reported to have spoken with Hertha Berlin about the future of midfielder Marko Grujic, who is currently on loan with the Bundesliga side. Edwards is in Germany along with Reds scouts to have a look at Bayern Munich, who overcame Hertha over 120 minutes in the DFB-Pokal on Wednesday, as the Merseysiders prepare for a Champions League last 16 tie with the Bavarian giants. Reports in Germany say that Edwards, who handles outgoing transfers among other duties, has taken the opportunity to meet with his Berlin counterpart about the midfielder, and the opportunity of extending his loan deal with the ​Bundesliga's ninth placed side has been on the agenda. It's something ​Bild say ​Liverpool are not against in principle, and it does seem as if it would benefit the 22-year-old to get another season of first team football under his belt in an environment where he is settled. The only caveat is that since the Reds are grooming him for a first team place down the line, they are keen for him to play European football next season. Hertha are in hot pursuit of the Bundesliga's European spots, four points off fifth-placed Eintracht Frankfurt, and should they qualify, then they look like the likely destination for the Serbian. If they don't, however, it's thought that Edwards and the Reds will re-consider their options, with the report claiming he will 'probably move on' in the event of his current side falling short. Those close to the player say ten potential clubs have come forward with interest, as he has impressed despite struggles with injury so far this season. 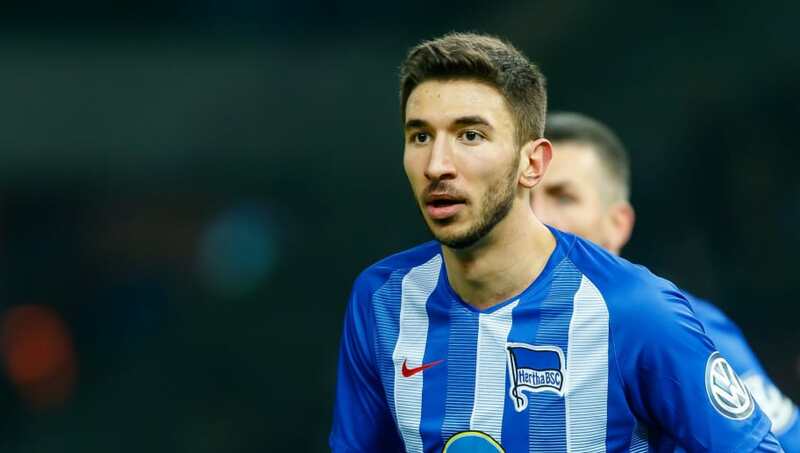 Grujic has been a first-team regular when fit, and has started their last three Bundesliga matches as well as managing 120 minutes in the DFB-Pokal defeat to ​Bayern during the week. It's possible he could be a long-term replacement for one of the Reds current midfield options, as James Milner is 32 at present and Jordan Henderson is approaching his 30s.